Forest Holiday’s site at Keldy in the Cropton Forest in North Yorkshire has recently been completely revamped with the old chalets demolished to make way for brand new state of the art timber cabins. To ensure maximum protection against exposure to the northern climate, Sadolin Classic was applied to all 58 of the new cabins, which are either six or eight berth luxury chalets with balconies and patios. Sadolin Classic provides decorative wood protection, with a translucent finish that enhances the natural beauty of the underlying timber cladding. The use of Sadolin Classic on the timber frame walls and envelope of the chalets highlights the impact of the buildings in the surrounding forest, and creates a development that is complementary to the natural environment. For the interior, Sadolin Quick Drying Varnish was used to ensure maximum resistance against knocks, scratches and marking. The varnish heightens the natural appearance of the wood, creating a warm and luxurious impression upon entry. 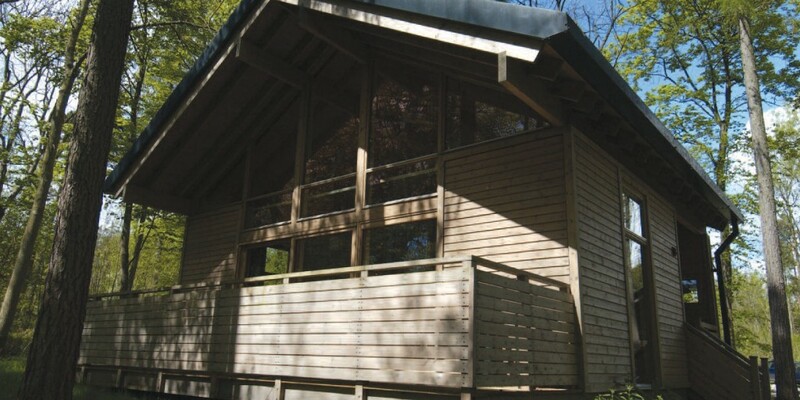 The project to upgrade the Keldy site was undertaken by main contractor, Morrison Construction for Forest Holidays, which is part of the Forestry Commission.